DUBAI, United Arab Emirates — An unmissable event for the region’s food and agriculture and hospitality professionals took place last week in Dubai, focusing on Italian taste and lifestyle, that unique ability to offer an experience combining the beautiful with the good, which are represented by two B2B events organised by Fiera Milano: HostMilano, one of the world’s leading events for the professional hospitality industry in all its forms, and TuttoFood, Italy’s most international food and agriculture trade fair, one of the top three events for the sector in Europe. The occasion was a convention on the theme of Innovation and Excellence to Support the Growth of the Food & Hospitality Sector in the Gulf with the involvement of about 40 selected representatives of the region’s business community, including about 25 buyers from the two sectors in the Arab Emirates, Kuwait, Oman, Saudi Arabia and Bahrain; representatives of local chambers of commerce and trade associations; reporters in the trade media such as Pro Chef Middle East; Hotelier Middle East; Caterer Middle East; Catering News; Gulf Gourmet; Food Business Gulf; Arabian Business and Gulf Business. The interest the event has attracted reflects opportunities for steadily growing trade. According to figures from the Ulisse Information System, the region’s markets imported professional hospitality products with a total worth of more than 12 billion euros last year, and Italy represented about 8% of these imports, worth about 915 million euros, ahead of Germany (2.4%). The area’s imports have grown by a total of 2.9 billion euros over the past 5 years (2012-2017), and Italian sales have grown by 252 million euros. The scenario for 2018-2021 suggests that imports in the sector will grow by an additional 1.9 billion euros in the area. According to ISTAT and ITA Agency figures, Italian trade in F&B with the Middle East as a whole was worth about 410 million euros in exports and more than 26.5 million in imports in the first half of 2018 alone. Baked goods (106.6 million euros) and miscellaneous food products (154.4 million) are the categories most frequently exported from Italy to the Middle East, while the biggest imports are processed preserved meats (14.8 million euros) and processed and frozen fruit and vegetables (4.2 million). Their leadership in the industries they serve makes HostMilano and TuttoFood the ideal setting for taking advantage of these opportunities for growth, for both exhibitors and professional buyer or visitors, with the added value of being located in Milan, universally acknowledged as a trendsetting city for the world of food and hospitality. These opportunities for growth in the field were discussed by a panel composed of: Boushant Ghandi, Commercial Manager of Trubell, the UAE’s biggest F&B importer and distributor; Uwe Micheel, who chairs the Emirates Culinary Guild; Darin Varghese, Middle East Procurement Manager for the Accor Hotels Group; and Mohamed Kamal, Middle East and Africa Procurement Manager for Millenium Hotels and Resorts. 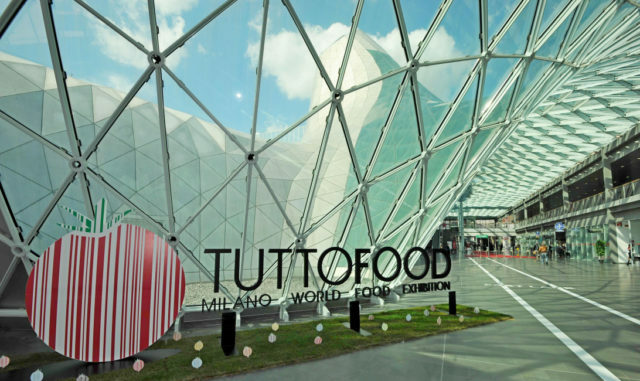 The event was part of a programme organised by Fiera Milano involving participation in a series of workshops, events and trade fairs to introduce itself and monitor today’s most consolidated and promising markets. Significant stops on the promotional tour include, in addition to a number of Italian cities, Mexico City, Dubai, Lima, Munich, Moscow, and the US cities of Boston, Chicago, Las Vegas and Orlando. To find out more about HostMilano: www.host.fieramilano.it/en; @HostMilano. To find out more about TuttoFood: www.tuttofood.it, @TuttoFoodMilano.